"From the first moment I was out there performing in front of an audience, I loved it. I loved being around stage people." So says 17-year-old Kellie Shanygne Williams, who began acting at the age of 4 and worked as a model at the age of 6. Before her acting career blossomed, Williams dreamt of becoming a dancer. She got the chance to showcase her dancing abilities in the Salute to Martin Luther King Jr. at the Kennedy Center in Washington, DC. "It was my first stage appearance ever and I was nervous," says the Forestville, Maryland, native. "I worked with Debbie Allen, whom I used to watch on Fame, and imagine myself as a dancer. It was an unforget-table experience." Though that performance was pivotal, it wasn't until 1988, when Williams played Zonia in August Wilson's Joe Turner's Come and Gone, that she had her most memorable role. "Zonia in Joe Turner's Come and Gone was my favorite role. I got the chance to work with Angela Bassett and Delroy Lindo...two of my favorites. It was definitely a learning experience for me. The most important skill I improved was discipline. In acting it is so important to be disciplined," she explains. And that discipline, plus a lot of talent, has helped make her a popular fixture in ABC's Friday night TGIF lineup. 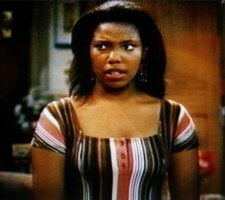 Williams plays "nice girl" Laura Winslow who manages to navigate those sticky teen problems without too much difficulty. But she's the first to tell you that she is not Laura Winslow. "Laura and I are alike in that we're normal teenagers. We don't hang with the wrong crowd or do drugs. But Laura is more conscious of herself than I am." She laughs, "I'm just a little bit wilder than she is--not to say that I'm out of control, I'm just not as reserved." Bet on it. Talking to Williams, you feel as if you've known her all your life. She speaks with the familiarity of a close girlfriend. "No I do not have a boyfriend. But girl, I'm looking! It's really sad when your mom starts taking notice. One time Jaleel [White, Steve Urkel on Family Matters] called me and my mom didn't recognize the voice. When she called me to the phone she mouthed, 'It's a boy,'" she says laughing. Sounds just like an ordinary teen. In fact, the best part of Williams' year is the three month hiatus of Family Matters when she gets to be one of the girls in the 'hood again. "After every season ends, I go back to school in Maryland. Even though it's the end of the year with only three months left, I still look forward to it. It's so much fun being back with my old friends, being a normal teenager." Williams' future plans include going to college soon, traveling to Africa and eventually producing movies that will educate others about African Americans. But acting will never be out of the cards. "Maybe one day I'll be on the screen like Ms. Daisy [Driving Miss Daisy] and have someone chauffeur me around. We're always portrayed as Bgirls or worse, and I know we deserve better," Williams says. MELISSA WASHINGTON isn't out of control either, but she has been known to dance on a few tabletops.